Social Entrepreneurship is one of the best tools to address the most pressing socio-economic and environmental challenges facing our society,as it combines the power of entrepreneurship and innovation with the dedication and passion of social activism.India, with its youthful population is at the cusp of massive social and economic transitions. Social Entrepreneurship holds the key to unlock the vast potential of the Indian youth, particularly young men and women, to lead the social change process. The concerted efforts of the Government of India and Odisha have enabled a healthy ecosystem for the growth of ventures and entrepreneurs. The proposed project attempts to complement their efforts and leverage the growth momentum in Odisha to create a cadre of young change agents. Through a series of workshops, case discussions, seminars, panel discussions and field visits, the project not only aims to arm them with knowledge & skills of various dimensions of social entrepreneurship, but also to facilitate them to start and scale their own social enterprises, which addresses the most immediate social problems of their community. Our ambition is that at least few dozen Social Entrepreneurs will end up creating successful ventures as a result of the direct and indirect engagement of this initiative. 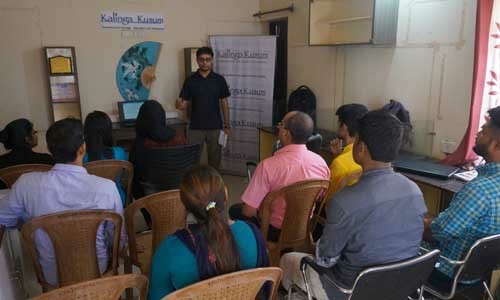 Kalinga Kusum Social Impact & Innovation Lab is a Startup incubator with a social mission. 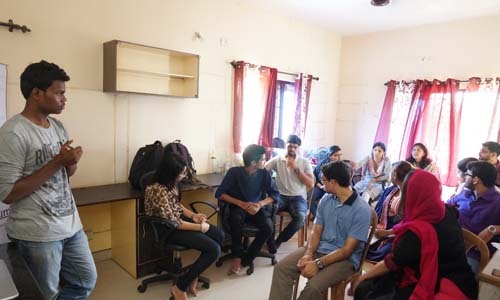 It offers an empowering platform that trains young minds, especially those from the underprivileged sections of our society, to emerge as job creators and social change agents. We are the only such privately promoted social incubator in Odisha, and amongst the very few in India, that has a vision to train 10000 young minds in next three to five years. With a dedicated team that actively discovers, funds and mentors entrepreneurs in the impact space, our Lab is the best “launchpad” for social entrepreneurs in Odisha. Through our engagement with Social Entrepreneurs, we aim to create large number of jobs and reach out to more than a million beneficiaries. We are currently focused on providing mentoring support and guidance, to create about 50 social entrepreneurial ventures in Odisha during 2017-18 which would receive financial, legal and market related support from our lab. Furthermore, we aim to invest in/ support these Social Impact ideas with seed investment, in addition to providing them with complete mentoring support in scaling the ideas. We are hopeful that at least a few such incubated ideas will be successful Social enterprises and that these Social Entrepreneurs will be role-models for a whole generation of youth in India. Kalinga Kusum Foundation's mission is the socio-economic and legal empowerment of those living on the edges of society, with a special focus on children, women and tribal. © Copyright 2019 ι Kalingakusum Foundation ι All Rights Reserved.